Going green can be good for the environment and for your tax situation. A lot of tax benefits are available if you know where to find them. Going green—as individuals and as businesses—has helped to reduce pollution and decrease tax bills in recent years. However, many federal tax incentives expired on Dec. 31, 2011. Ronnie Kweller, director of media relations for the Alliance to Save Energy, a Washington, D.C.-based nonprofit organization that promotes energy efficiency, agrees that passage of new federal tax credits or reinstatement of old ones is unlikely in the immediate future. “We hope they come back at some point, as they are very cost-effective investments that actually return money to the economy,” Kweller said, adding that she knows of no congressional effort to replace or extend tax breaks for green initiatives. While the glory days of tax incentives for going green might be over, a lot of benefits still are available if you know where to find them. The Database of State Incentives for Renewables & Efficiency (DSIRE), which is funded by the U.S. Department of Energy, is a comprehensive online resource for information on local, state, federal and utility-based incentives and policies that promote renewable energy and energy efficiency. "Most of the time, these days, when people are getting rid of their unwanted electronics for recycling, they’re not getting rid of old junk. They’re getting rid of a cell phone that might be 2 years old or a slightly outdated game console or laptop." One green federal tax incentive that will be around for a while is the tax credit for renewable home energy systems. And it’s a biggie. The credit—which will remain intact through Dec. 31, 2019, covers 30 percent of the cost of a solar electric, solar water heating systems (but not for swimming pools or hot tubs), small wind-energy property, and geothermal heat pumps, with no upper limit. Unlike some tax incentives, it applies to any owned home–not just a primary residence. After 2019, the credit is reduced each year until it expires at the end of 2021. These systems do not have to be placed on your principal residence. A tax credit for 30 percent of the cost of a residential fuel cell —up to $500 per 0.5 kilowatt of power capacity—is also available through Dec. 31, 2019 with similar reductions through 2021. New construction and existing homes qualify for the credit, but the home must be your primary residence. Energy systems for rental homes are excluded from both credits. Tax credits for hybrid cars have expired, but they are still available for all-electric vehicles, referred to as qualified fuel cell motor vehicles. Visit the DOE’s Fuel Economy website, searchable by make, model and year, to see if your car is eligible for a tax credit and to obtain more information about state and local incentives for electric vehicles. Tax credits range from $2,500 to $7,500, based on the vehicle’s battery capacity. Jarid Manos of Great Plains Restoration Council has an interesting take that combines tax breaks for going green with job creation for veterans. “While there are several commonly known tax benefits from efforts such as improving energy efficiency, investments in installing locally produced solar and wind renewable energy, and installing water conservation systems, Great Plains Restoration Council wants to highlight a little-known innovation for tax benefits and going green—hiring people to do ecosystem restoration work,” Manos said. Many taxpayers are familiar with the charitable contribution tax benefit of donating old clothes to the local thrift store. But did you know that the latest thing in charitable contributions is electronics recycling? Arman Sadejhi’s All Green Electronics Recycling in Tustin, California, provides “end-of-life” recycling services for electronics. If it plugs in or takes a battery, All Green accepts it. “Most of the time, these days, when people are getting rid of their unwanted electronics for recycling, they’re not getting rid of old junk,” Sadejhi said. “They’re getting rid of a cell phone that might be 2 years old or a slightly outdated game console or laptop. The best part, Sadejhi said, is that donors may assign their own fair market value to each item they donate based on what the item sells for on eBay or somewhere similar – within reason, of course. TurboTax has a tool called ItsDeductible that will do this for you. Just tell us what you donated, and the software will assign the appropriate value, based on IRS guidelines. If the donation is valued at less than $500, there are no forms to fill out. Once your total charitable contribution deductions exceed $500, you must submit Form 8283 with your tax return. Just make sure your outdated electronics go to a reputable company so they will be reused responsibly, and remember to get a receipt for your files. For more information, check out the Internal Revenue Service’s Guide to Charitable Contributions—Publication 526—at irs.gov. The Energy Star program of the U.S. Environmental Protection Agency and the U.S. Department of Energy helps taxpayers save money and the environment by going green. "We would be using about 40 percent more energy in this country if it weren’t for the energy-efficient technologies that have been developed since the 1970s in the wake of the oil embargo," said Ronnie Kweller, director of media relations for the Washington, D.C-based Alliance to Save Energy. While not all Energy Star-qualified products are eligible for incentives and some tax breaks for energy efficiency expired in 2011, credits still are available through 2021 for some energy programs. 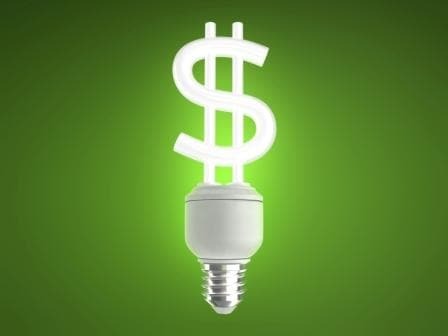 Even products that no longer provide tax credits can save you money by instantly lowering energy bills. For example, a programmable thermostat with the Energy Star label is not covered by tax credits, but it can reduce your heating and cooling bill by up to 10 percent.